May 18, 2016 in "The Sum of All Thrills"
Epcot's Sum of All Thrills may be the next Innoventions attraction to close. The Kuka robot arm simulator sponsored by Raytheon is no longer listed on the Epcot guide map, and the Sum of All Thrills website indicates that ride replays can be accessed until June 30 2016. 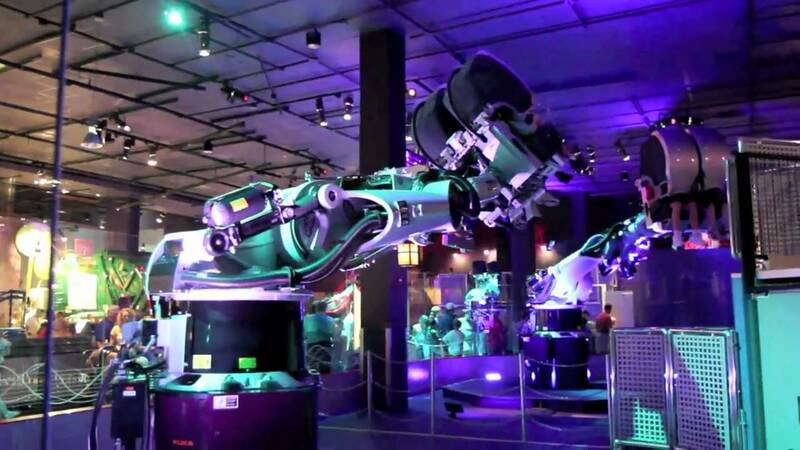 The simulator allows guests to create a thrill ride and take it for a spin on the end of a robotic arm. The attraction is low capacity, but has been the main draw to Innoventions East since it opened in late 2009. Like all Innoventions exhibits, corporate sponsorship is key to their existence, and most are limited time agreements. Innoventions West closed completely in April 2015, and much of Innovations East is now closed. Only Storm Struck and the recently opened Colortopia would remain if Sum of All Thrills was to close. Disney has not yet made any announcements regarding Sum of All Thrills.